Step-by-step course to accelerate your clients physical ability with a new set of training techniques, drills and organized visual cues and design a program that integrates various low-tech equipment for both personal training and group exercise. Over 100 training activities, progressions and variations, easily transferable to practical use with all clients, from a beginner client to a professional athlete, to improve footwork, control, agility, balance, coordination and enhance movement. This Speciality Certificate Credential provides all the tools needed to make smart equipment and exercise choices and provide fitness devotees a fun exercise experience that boosts their balance, strength, agility and speed. 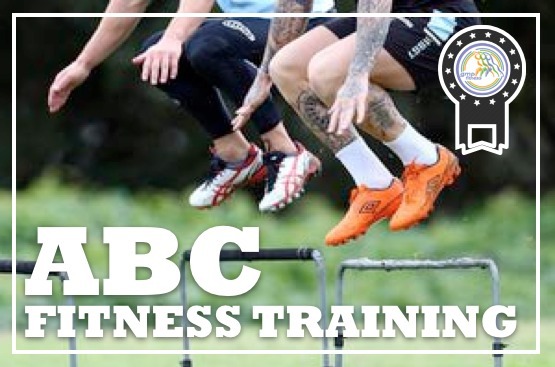 Provide an entry level understanding of ABC Fitness Training. Examine what controls balance and its importance to agility and coordination. Recognize the basics of proprioception training. Gain a general comprehension of agility, balance and coordination training concepts and the awareness to help clients increase performance while decreasing the risk of injury through the optimal training. Discover fun ways to improve footwork, control, balance, agility and coordination. Gain knowledge of training progressions. Expand knowledge on how to make smart equipment and exercise choices. Enhance balance, agility and coordination with effective warm-ups. Amplify knowledge of training drills. Understand how to develop your client’s strength, agility, balance, coordination and core stability using various fitness tools. Learn agility, balance and coordination training to help your clients condition their bodies to perform at their best. Understand how to design programs for stability. ✓ 22 question online true/false and multiple/choice final exam.